We have a range of Victorian style carts, available with candy floss, popcorn, crepes, ice cream, hot dogs, chestnuts, mulled wine and espresso coffee. Where possible all of our ingredients are Fairtrade. We are also able to supply full size catering units on short and long term hire, ideal for building sites, football clubs, festivals. A short notice service is also available for emergency events. Our carts have been specially designed to be dismantled, enabling them to be carried upstairs, or through narrow openings. We can operate a cart in venues that other companies find totally inaccessible. The most popular line is undoubtedly candy floss. Not only is it a fun food to eat, but it totally mesmerises people who watch it being made. 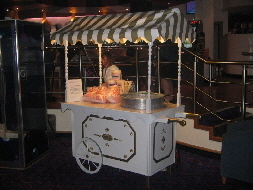 The candy floss carts are available with popcorn on the same cart, or you can hire one of our mini popcorn carts with an additional operator for busy events. 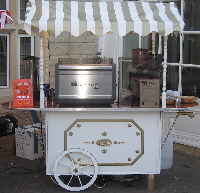 For more sophisticated events, or perhaps for when there are large numbers of adults, our espresso coffee cart is ideal. Dispensing a range of espresso based drinks, along with tea and hot chocolate (all fairtrade), supplied with all ingredients and a trained barista. The newest additions to our range of carts, are Draught Beer Bars and a range of High Quality Drinks Fountains. In addition to the food offered above, we also have hot dogs, soup, donuts, pancakes, hot roast chestnuts, Mulled Wine and more. 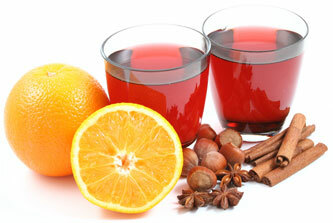 If you have specific requirements contact us and we can meet them, including kosher and halal food.